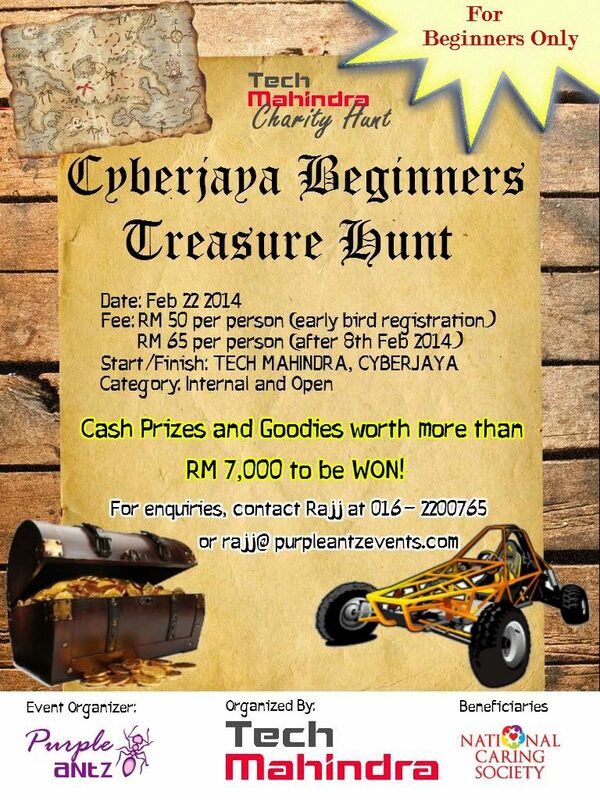 Tech Mahindra is proud to organize its own CSR event for the Cyberjaya campus – Cyberjaya Beginners Treasure Hunt! – for a charitable cause. It will be held on February 22, 2014 (Saturday). 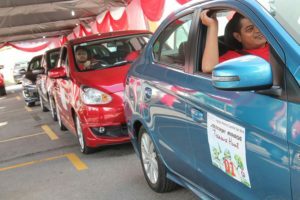 The surplus amount and treasures collected during the event will go to “Persatuan Keperihatinan Kebangsaan” or also known as National Caring Society (1333-07-WKL). The hunt is open to the general public as well as Tech Mahindra associates. 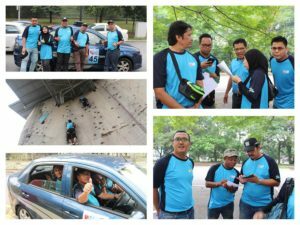 While having fun cracking the questions and tracking the treasure; you can be a part of this noble cause . Well…. you also stand a chance to win cash prizes !!! For Internal and General Public(Open Beginners). 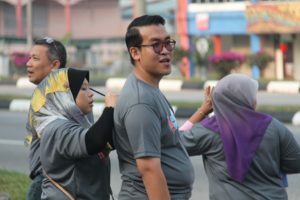 Minimum 2 participants or maximum 4 participants are allowed in a Team. * T.Shirts will be provided as well. We would encourage all employees and residences of Cyberjaya to start forming teams and partake in this CSR event in large numbers.